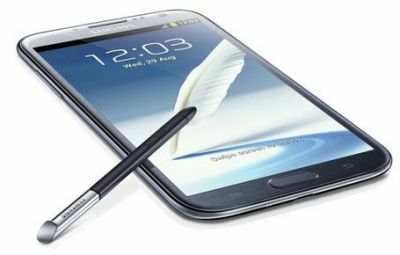 Samsung announced that they sold over 3 million Galaxy Note II phones - only 37 days after its release. This is three times faster than the previous Galaxy Note (which sold over 10 million units in 9 months). The Note II has a 5.5" HD Super AMOLED display (1280x720, non-Pentile), a quad-core 1.6Ghz processor and a large 3,100mAh battery. The Note II is only 9.4mm thick. The Note 2 started shipping in September 2012. It is available unlocked in the US for $775 (international version), and it's also being rolled out by AT&T and others.